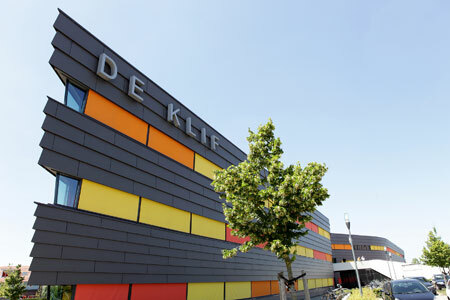 The AudioVisual Spring Festival will be held in the theatre hall of De Klif in Nijmegen, The Netherlands. See the location at Google Maps. When navigating, based on street name or postal code, you may be directed via the wrong side of the Pijlpuntstraat. You need to drive via the Terracottastraat. De Klif can be reached by public transport. In Nijmegen you can take the bus at the train stations in Nijmegen, Nijmegen Lent, in direction Arnhem. North of Nijmegen, Arnhem Central Station has direct connections to Amsterdam (Schiphol Airport) and Germany. From there you can take bus line 331 towards Nijmegen. Exit the bus at stop De Klif, at 150 meter walking distance from De Klif itself.